Ok, so this post is about four months late because I was pretty sure I lost (more like deleted) a bunch of photos on my hard drive without backing them up. 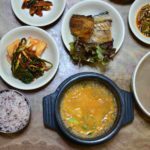 Fortunately, my roommate recently found a hidden folder containing tons of solid restaurants that are review worthy, including this popular naengmyun joint near the foreigner-friendly Itaewon district. 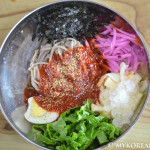 Donhga Naengmyun serves up some very addictive and mouth-watering bowls of cold buckwheat noodles. 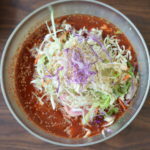 There are only three items on the menu (which is a good indication of any great restaurant): mul naengmyun (noodles in cold broth), bibim naengmyun (spicy cold noodles), and wang mandu (jumbo dumplings). My friend and I tried everything and they didn’t disappoint. 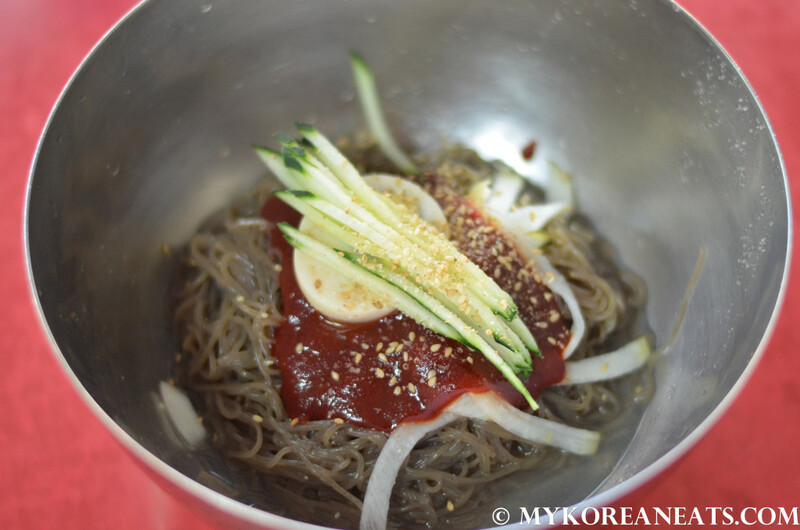 Both noodle dishes had the right flavors that I personally look for in naengmyun: a combination of sweet, sour, tangy, and a tad spicy (they have an extra spicy version upon request). 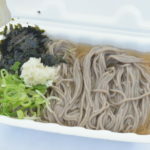 Lastly, the buckwheat noodles had a nice bite to them – chewy and elastic as they should be. 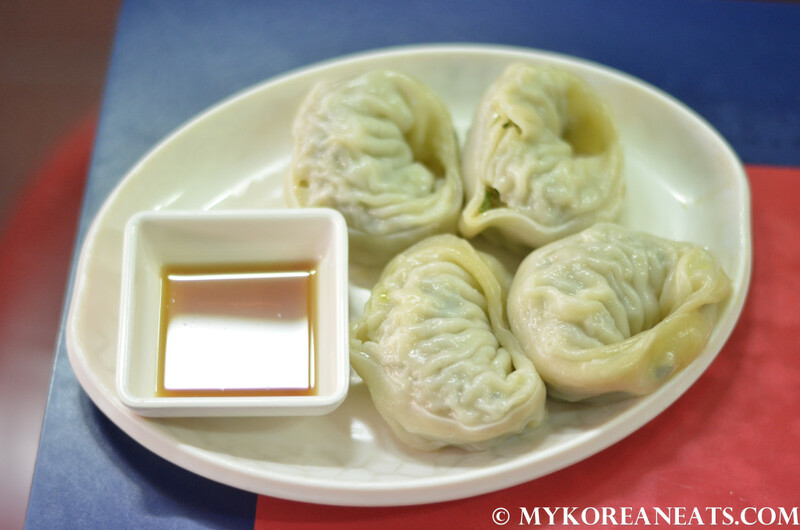 The mandu, from my memory, was pretty standard but did include a generous amount of meat compared to other places. Overall, it was a satisfying meal that hit the spot in the sweltering heat. As impressive as the food was, I have to mention the amazingly humble prices, especially compared to other well-known places that charge much more. 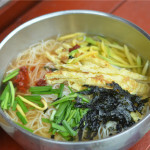 At 5,000 won and change, this is probably the best bang for your buck. I take that back, this is the best bang for your buck. I can’t vouch for the other branches in Seoul, but this original location (bonjeom 본점) has over 40 years of experience and it truly shows. Give the place a try if you’re in the area! Note: you can customize your dish according to preference (i.e. 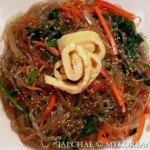 sweet, sour, spicy) by telling the server when ordering. Supposedly, pain and euphoria are symptoms of the spicy version so make sure to think carefully when choosing this version. If there is no special request, by default, you will be given the standard version like we did on this visit.